While suturing a cut on the hand of a 75-year-old rancher, whose hand was caught in the gate while working cattle, the doctor struck up a conversation with the old man. Eventually the topic got around to Palin and her bid. The old rancher said, “Well, ya know, Palin is a ‘post turtle'”. 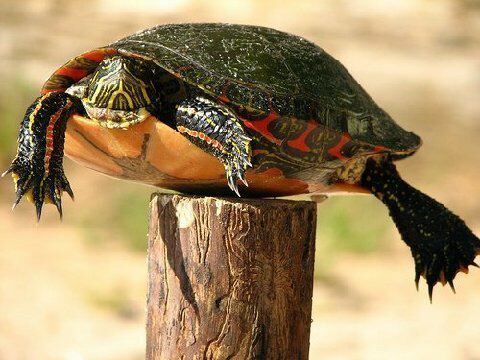 The old rancher said, “When you’re driving down a country road you come across a fence post with a turtle balanced on top, that’s a ‘post turtle’.